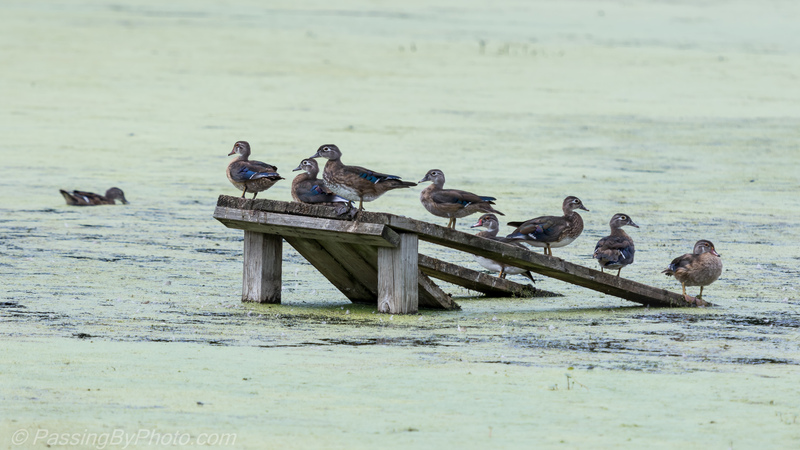 A few Wood Ducks were hanging out on an alligator ramp in the old rice field pond. Everyone was happy until a hawk flew over and one by one they slid into the water and paddled to the far shore and relative safety of the reeds. 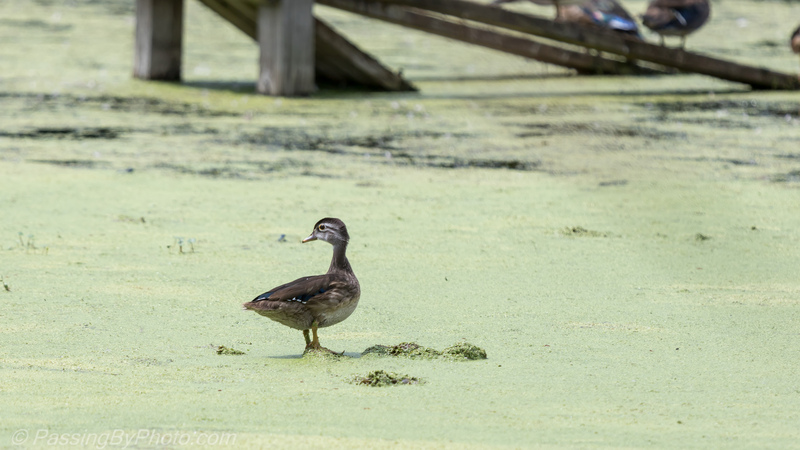 This one lone duck didn’t seem to get the message and stood her ground on a lump of debris. These photos were taken two weeks before Hurricane Irma swept through South Carolina last week. I passed this spot yesterday and the duck weed blew into the pond corners and many of the reed islands are re-arranged. Wonderful background light and the ramp setting! Thanks! We are looking forward to seeing some teals in this water soon.